This is one of those simple, why didn’t I think of this sooner? sort of tips. Never again will we have to risk life and limb (and dishcloths) reaching into a blender to scrub sticky smoothie goop off the blades. 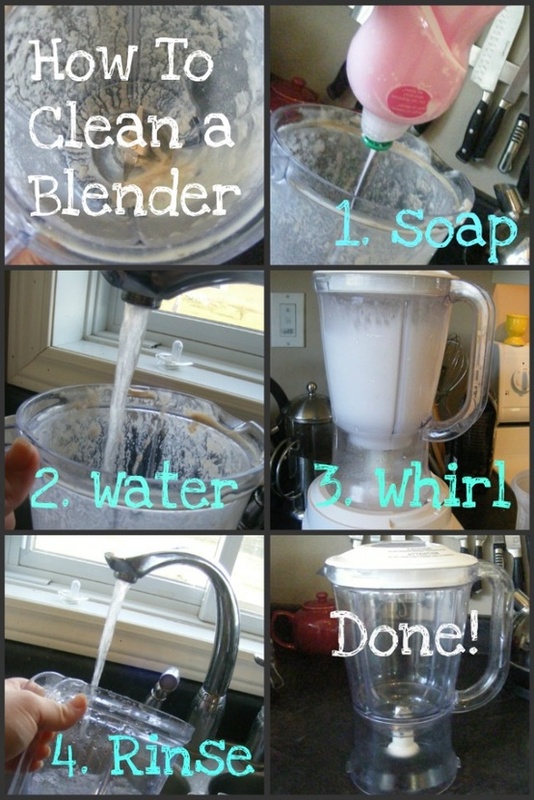 1.Put a squirt of dish soap in the blender. 3.Put lid on and take the blender for a whirl. 4. Rinse, dry and done!